Driving through the countryside or city streets in Uganda or Rwanda, one is greeted by the same sight over and again – children. Youngsters in colourful uniforms fill the sidewalks and paths every morning and afternoon as they trek to and from school. Jogging in the early morning down Kigali streets I have more than once been embarrassingly out-run by little girls in dress shoes and backpacks, screeching gleefully as they dash past. Meanwhile, the smaller children toddle curiously around the home, and babies find themselves securely strapped to the backs of their busy moms. You don’t have to look up demographic figures to know that one word characterizes the population: young. In a region long defined by civil war, violence and dictatorship, youth is the new and hopeful quality permeating society. The wars that wracked the region for the past several decades have drawn to a close, one by one – the Ugandan civil wars of the 1970s and 1980s, the 20-year terror of the Lord’s Resistance Army in Northern Uganda, the Rwanda genocide of 1994, and the Congo wars that followed. As the worst episodes of violence recede, how will newfound security affect the political, social, and economic opportunities and beliefs of the new generation? How will the youth relate to the decisions of leaders whose lived experiences are increasingly distant from their own? The children and young adults of today will live profoundly different lives than those of their parents and grandparents. While conflict continues in eastern Congo, a peace and cautious hope has come to most of the region. Nearly half of Rwanda’s population today was born after 1994. 52% of Rwandans and 61% of Ugandans are less than 20 years old. Nearly three quarters of all Ugandans have lived under President Yoweri Museveni for their entire lives. Most Ugandans and Rwandans, therefore, know only stories of the terrible wars that once ravaged society. The scars, visible or not, are everywhere, but the memory is increasingly derived from history passed down by those who lived through it. As these children come of age, they face very different challenges than their parents before them. The vast majority will attended primary school, and will read and write in English. Many will graduate from secondary school, and an increasing number will obtain a university degree. Unlike their parents, most will not fear for their lives, but for their livelihoods. Yet for now, those who govern the countries in which these children grow up – individuals who were intimately involved in the conflicts of the past several decades – continue to make calculations, judgments, and risk assessments based on the experiences through which they have survived, as have done leaders before them. National security is at the top of the agenda for every government, but the price one is willing to pay for security is shaped by experience. For the older generation, there may be no price too high. For the younger generation, the choices may not be so clear-cut. It is difficult to assess the extent of the divide between today’s youngsters and the generation that preceded them. Often votes are a good indication of political and policy preferences, but the post-conflict generation is only just coming of age. Surveys too can help, but ultimately we are left to some speculation. Recent surveys in Rwanda show that both the young and old continue to place a high value on national security. Overall, 44% of Rwandans said that “strong defence forces” should be the top national priority, with a similar percentage across all age groups, according to the World Values Survey. In the U.S., by contrast, while 38% of all Americans surveyed believe strong defence forces is the most important national priority, only 20% of those under 30 list national defence as the top priority. The vastly different security challenges facing each country have surely shaped these preferences. In Rwanda, an extraordinarily large percentage of people not only support strong defence forces as the top national priority but would also contribute to this goal – 95% of all Rwandans and 96% of 15-29 year-olds surveyed said they would be willing to fight for their country. In the U.S., only 41% of 15-29 year-olds were willing to do so. 91% of Rwandans also expressed a preference for greater respect for authority in the country. All this suggests that so far, there is little evidence of a generational difference in security preferences. Nevertheless, it is important to keep in mind that most of the peacetime generation is still too young to be included in any survey. We are likely still observing the preferences of an adult population for whom the remnants of conflict may still be too fresh, and continued violence in eastern Congo too close. In Uganda, evidence is mixed regarding whether the old and young have different preferences when it comes to national priorities, but there appear to be greater differences than in Rwanda. There are obviously serious economic challenges facing Ugandans, which may trump security concerns for the ordinary citizen — 64% of 18-29 year-olds were unemployed in 2008, according to an Afrobarometer survey. For most Ugandans, “improving economic conditions for the poor” is the most important national priority. Only 17% of 18-29 year olds listed maintaining order in the nation as the highest priority. Interestingly, young people expressed greater fear of political intimidation or violence than the very old in Uganda – 36% of young people said they had “a lot” of fear of political violence. And worryingly, the majority of Ugandans believe political competition often or always leads to conflict. 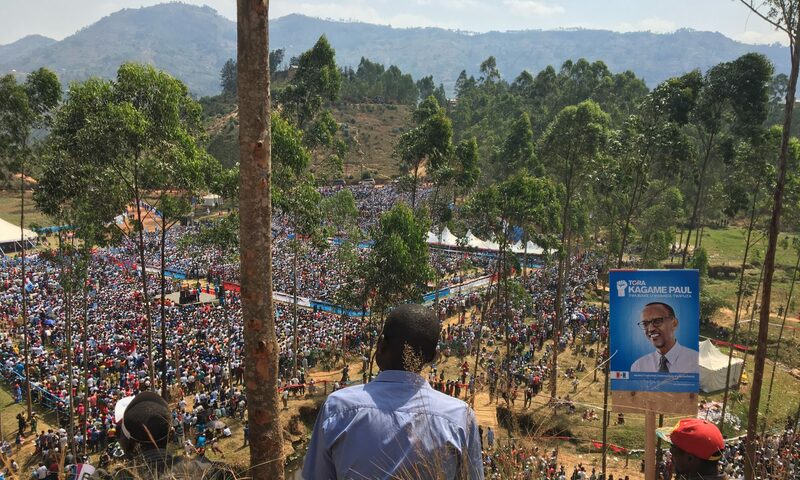 Uganda and Rwanda are both societies in transition — transition away from conflict, transition toward greater political participation, transition out of poverty. How today’s children will view the behaviour and policies of leaders whose life experiences are increasingly distant from their own is yet to be seen. It may be too soon to detect generational differences in any scientific way, but ready or not, the youth bulge is coming into its own. Young people already make up the lion’s share of the population in the region. In just a few years they will be the king and queen-makers, or breakers. Watch this space. Published online February 16, 2012. The actions (or inactions) of the United Nations elicit varied reactions. Supporters hold the institution in high esteem, and believe it has the power to promote peace, human rights, justice, and social progress, as the preamble of its charter suggests. Even the most ardent enthusiast will admit that the UN is not a perfect institution, but argue instead that it is as close to a functioning world government as we can hope for in this period of our history. To others, the UN is a bumbling, impotent and ineffectual player in the realm of international relations. It is an expensive bureaucracy that both overreaches and underperforms. Critics cite inaction during crimes against humanity on the one hand, and intrusion of state sovereignty on the other. They argue that decisions are dictated not by the community of nations but the community of a few superpowers. On either side of this chasm, and everywhere in between, are people who do not understand how the organization works. What most people see, if they see anything at all of the UN, are its loud condemnations, the roaring silence of its passivity, or its troops scattered across the world’s “troubled” spots. The future of the organization depends not only on its performance, but also on global public opinion. The recent failure of the United Nations Security Council (UNSC) to back the Arab League-sponsored resolution on Syria brings to light afresh the challenges the organization faces. The halting process of decision-making at a time when hundreds of Syrian civilians are being slaughtered by the Assad regime is reminiscent of past faltering by the Council. Inability to gather consensus on resolution wording, much less action, has hampered the UNSC on many occasions. UN intervention during the Rwandan genocide is only the most vivid example of a lumbering bureaucracy with at least as many interests as members stumbling at the feet of those who clamor for its attention, resources, and even salvation. An excruciating recollection of the events of the UN’s behavior in 1994 calls our attention to the power of a few words. What is said and not said, done or not done, leaves a mark on history, on leaders, and on ordinary citizens that cannot be removed. It is not at all surprising, therefore, that according to the World Values Survey, only 8% of Rwandan respondents thought that policies regarding international peacekeeping should be handled by the United Nations. The remaining 92% thought peacekeeping should be handled by national governments or regional organizations. This response varied drastically from almost all other countries surveyed. On average, nearly 50% of people in nearly 50 countries around the world thought the UN, and not regional organizations or national governments, is best placed to handle international peacekeeping. Rwanda’s experience with peacekeeping operations has clearly damaged trust in the UN in this arena. On the other hand, a greater percentage of respondents in Rwanda than in any other country think the UN is best placed to handle refugees. Only 10% of Rwandans thought national governments should handle policies related to refugees, while the vast majority, 73%, thought the UN should handle refugees. Meanwhile, 32% of respondents from all other countries thought national governments should handle refugees while only 48% thought the UN was best. A more thorough investigation could uncover the extent to which first-hand experience with the UN intervention, in all of it various forms, shapes public opinion regarding what the organization can and should do. In the meantime, the most recent failure of the UNSC to come down firmly on its position towards a regime that is clearly brutalizing its population raises questions about the limits of an international institution whose explicit and primary goal is world peace. It is precisely the collapse of these talks that chips away at people’s faith that the UN, or any organization for that matter, can promote peace in any way beyond that which is lip service. Students in a class I am helping teach this term learned this lesson the “hard” way in a UNSC simulation last weekend. For two days the fifteen delegations, made up of at least some students who are destined to be diplomats and policymakers themselves one day, met to draft and pass a resolution on the international community’s response to Iran’s nuclear program. They took turns making statements to the council, drafting the resolution, and debating each word and paragraph. It soon became apparent that delegations were not all equal. The permanent five (P5) had the unique power to make or break a deal. After nearly twenty hours of debate, the council came to the final vote. In a bizarrely parallel universe to the actual meeting and vote of the UNSC taking place the same day, the students’ resolution was vetoed by China, a member of the P5. A collective “boo! !” filled the room. But it was over. After days of work, side deals, compromises, and urgent pleas, the resolution had failed. Meanwhile, in New York, the real Chinese and Russian delegations killed the Syrian resolution. The palpable disappointment of the students was only a whisper of the hundreds of disappointments, much larger and all too real, of both UN action and inaction. Those who have been burned before, in ways small or large, have no choice but to alter their behavior domestically and make do with the politics in New York. The UN has proven time and again that it is not an organization that leaders or publics can rely on when times get tough. Whether or not a resolution can be reached depends not only, not primarily, on the gravity of the situation at hand, on the peril at which lives are placed, or on the number of lives in danger. Instead, alliances, precedents, and power creep into the corners of debates between great and small countries, and the diplomats that represent them. Fertility rates in Rwanda have been falling steadily over the past several years, but this year close to 400,000 Rwandan women will become pregnant and give birth. Next door in Uganda, four times as many women will become pregnant, approximately 1.5 million. If recent trends hold, nearly 10,000 of these women will lose their lives during or shortly after their pregnancy. Many of them will suffer from bleeding and infections that can be treated or prevented. Surveys show that pregnant women in both Rwanda and Uganda seek antenatal care at very high rates. Nearly 98% of women in Rwanda and 95% in Uganda have at least one antenatal visit during their pregnancy. These women want information about their pregnancy, and seek out health services that they believe will help them have healthy babies. But often the health system fails to provide these women with the information they need to take care of themselves, and far too many mothers lose their lives because they do not receive emergency care in time. Rwanda has been showing steady progress in improving maternal health, but Uganda has faired poorly. Both Uganda and Rwanda continue to have high levels of maternal mortality, defined as the death of a woman while pregnant, or within 42 days after the termination of pregnancy (excluding accidents). Between 1985 and 1995 in Uganda, maternal mortality was estimated at 527 deaths per 100,000 live births. The following decade, from 1996 to 2006, maternal mortality was estimated at 435 deaths.Although these figures suggest a slight decrease over the past twenty years, the margin of error around these estimates are such that we cannot say with any confidence that maternal mortality rates have changed at all between 1985 and today. Thus, it appears pregnant women in Uganda today are equally likely to die in childbirth as they were 25 years ago, when the National Resistance Movement came to power. Meanwhile, maternal mortality in Rwanda has fallen significantly, although rates in Rwanda have for some time been higher than those in Uganda. Between 1995 and 1999, maternal mortality in Rwanda was estimated at 1071 deaths per 100,000 live births, one of the highest rates of maternal death in the world. Between 2000 and 2004, however, it had dropped to 750. The most recent estimates should be available in the next year or so, and are likely to show even further decline. Rwanda may have made greater strides than Uganda in reducing maternal mortality in the past decade or so, but both countries face significant challenges in improving maternal health. There is a long way to go. The good news is that unlike many types of preventive health behaviors, such as getting immunizations or sleeping under a bednet, seeking help during pregnancy has become very common, even natural. In other words, the demand for health care during pregnancy appears higher than for many other health issues. Unfortunately, while demand is high, supply of care during pregnancy is weak. Although nearly all pregnant women seek antenatal services at least once during their pregnancy, not all clinics and health facilities are equipped and ready to meet their needs. In fact, most health facilities are lacking the basics when it comes to antenatal care. The Service Provision Assessment Survey 2007 found that only 31% of health facilities in Rwanda had all the items required for infection control, including running water, soap, latex gloves, and disinfectant, and only 28% had all the essential supplies for basic antenatal care, including iron and folic acid tablets, tetanus vaccines, and equipment to measure blood pressure. A mere 11% had all the medicines required to treat pregnancy complications, including antibiotics, antimalarial drugs, and medication to treat common sexually transmitted infections. To make matters worse, very few women were given sufficient information so that they could take good care of themselves at home during their pregnancy. Only 8% of women in Rwanda were told about signs of pregnancy complications, while only 35% of women in Uganda were informed. It is perhaps not surprising that only 35% of Rwandan women and 47% of Ugandan women attend the recommended four antenatal visits. When women arrive in clinics, often without power or water, which do not provide the necessary equipment and information to help them with their pregnancy, there may be little incentive to keep going back. Of course, the news is not all bad. On the contrary, the improvements that have been made in maternal health, particularly in Rwanda, are extraordinarily impressive. In just five years, between 2005 and 2010, the percentage of mothers whose delivery was assisted by a trained and skilled provider increased from 39% to 69%. The percentage of mothers who delivered in a health facility jumped an equally miraculous 28% to 69%. The increase in births under the watch of a skilled provider has likely played a large role in the reduction of maternal mortality. An estimated 15% of all pregnant women will encounter life-threatening complications, and trained nurses, midwifes, and physicians can help make sure these complications do not become fatal. The fact that pregnant women appear to seek out services and information at high rates is a great opportunity for public health, but this opportunity is squandered if health facilities are poorly equipped to provide care. While Rwanda has made strides in improving the supply of care, there is less evidence of improvement in Uganda. The results speak for themselves.